INTRODUCING JUST A SHELF: WATCH THIS VIDEO FIRST! 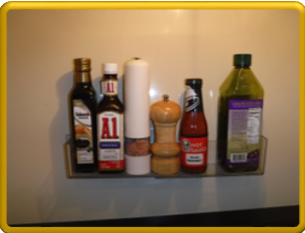 Justashelf is an Expandable, Multipurpose Shelf Organizer that can be easily installed almost anywhere. Holds up to 10 lb. 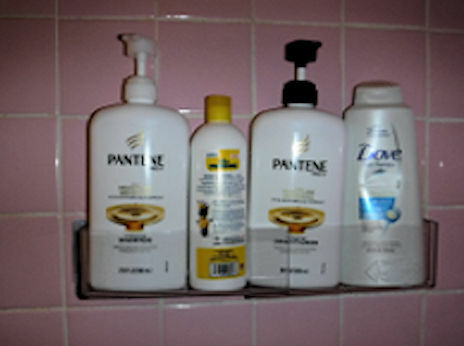 Perfect for Offices, Kitchens, Cabinets, Bathrooms, Showers, RV's and more. 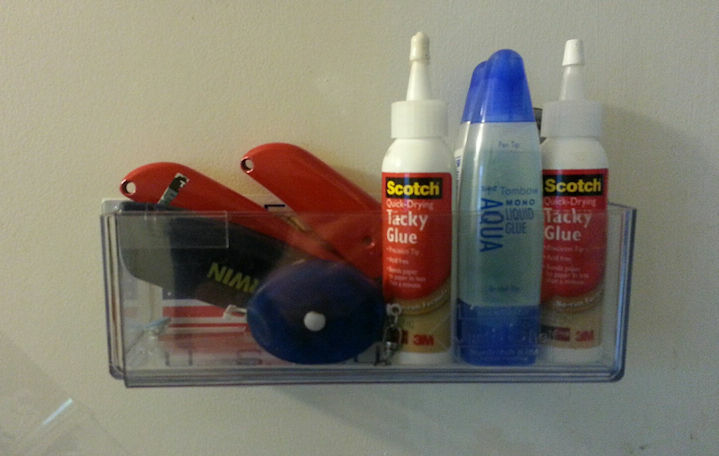 Strictly USA uses JustAShelf in the warehouse to hold utility knives, tape measure, glue and other supplies. They are very handy. 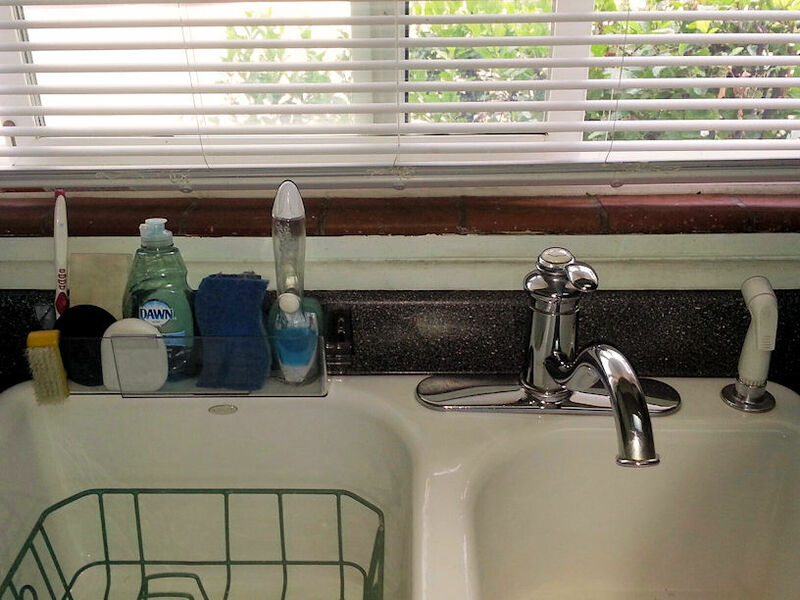 We also have one in the kitchen for sponges and cleaning supplies. Finally getting items off up off the sink! 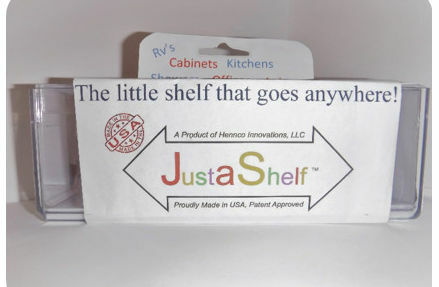 JustAShelf is excellent for those smaller items that become lost in the shuffle. Now they are always at hand! We are 100% sure that you'll want more than one JustAShelf. Save $$ when ordering 2 or more. Installing Just AShelf is easy-- simply use the enclosed command strips (double sided tape) to secure JAS unit to the surface of your choice. Sticks to most surfaces. PLEASE WATCH THE JUSTASHELF INSTALLATION/ REMOVAL VIDEO BELOW! 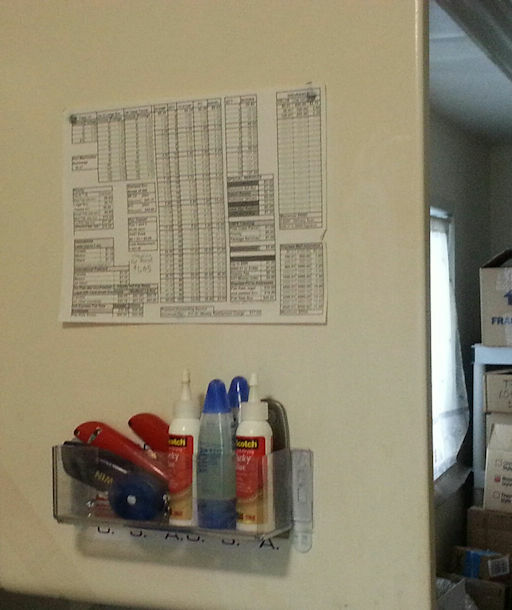 Any type of double sided tape or command strips can be used. For example--Scotch HD mounting tape or something like that. * Adjust from 10" to 16" in length. * Quality Water Resistance Glue Strips. * Made with High Quality Plastic. 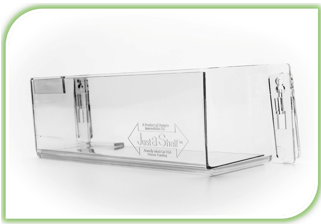 JustAShelf is proudly Made in USA! Made in USA! Made in USA! Just got this shelf. It works really slick. The directions aren't detailed enough about which side of the sticker goes against the wall and which goes against the shelf brackets. The black print on the white sticker says in teeny tiny print which way that side of the sticker should stick. Doesn't say to clean the wall with alcohol, but that's what I did because that's what the directions say in other similar products. But other than that, it's a really great product. And goes up easily. I love it already!